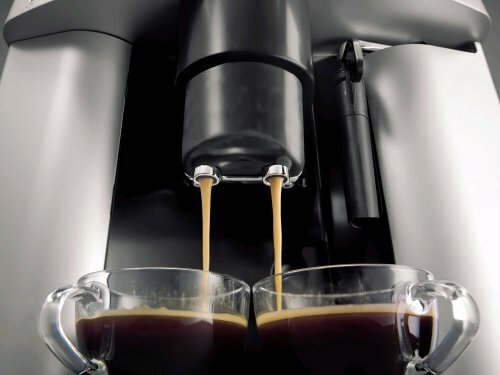 Once you start hitting the $500 range of coffee makers, convenience becomes second to the taste of rich espresso. The DeLonghi Magnifica ESAM3300 still focuses on convenience as well as aspiring to give the best taste of smooth espresso possible. The machine is compact and ready to make a decent cup of coffee, espresso, or latte. Built to be small and out of the way it gives you a taste of coffee culture without the inconvenience of leaving the house. The Magnifica comes with a removable water and bean container. Both of these containers are in the front – this is important because unlike many of its competitors refilling can be done without moving the machine. Not having to shift and fiddle with the machine eliminates a lot of the bulkiness that many other machines suffer from. Readiness in integrated as a key feature in this machine. This is particularly true with the instant reheat option. Temperatures are maintained at all times so a perfect cup can be done quickly and efficiently without fuss. 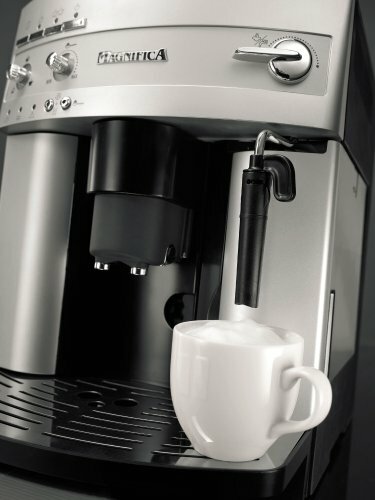 One of the major bonus factors in owning a Magnifica is its ability to make cappuccinos. 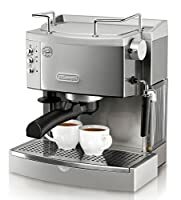 This machine doesn’t require a different frother, unlike the Nespresso Pixie, nor will it require different settings to make an espresso. The cappuccino can be produced all at once without the hassle of creating a shot or milk separately. The milk levels can be adjusted to your taste which means you can produce a cup with less milk for a bold flavour, or more milk to make it go down smoothly. You can brew regular coffee as well, which means with a bit of playing around you can alter your cup of cappuccino with a coffee base rather than an espresso shot. Of course, this machine isn’t perfect. The Magnifica lacks the ability to take oily beans. For a coffee connoisseur this can be a major step back because of the decreased quality of the beans. The fresher the bean, the more the oil., and if you&apos;re going to be paying this price for your espresso, you&apos;ll want the high-qulaity beans to go with it. This may not be an issue for everyone, of course - it depends on your taste preferences. Decaffeinated beans lack the oil that can be found in most standard blends. Compact, it doesn’t take up space and it values functionality. Can be sanitized easily. This is important for keeping coffee fresh.